The winds of Cádiz arrived as a hurricane in the show “¿Qué pasaría si pasara?” (“What would happen if it happened?) by the quartet formed by David Palomar, Riki Rivera, El Junco and Roberto Jaén. 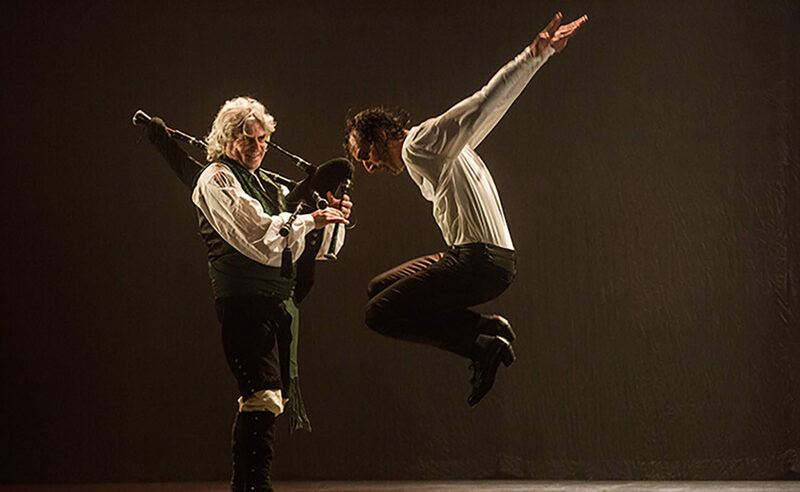 The evening of March 2 will be remembered by the roars of laughter brought about by those performers from Cádiz, half flamencos, half jesters. 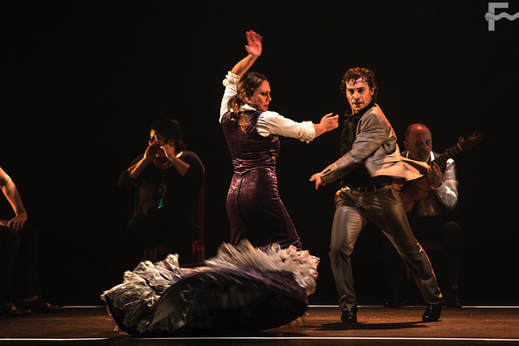 This production offered a contemporary perspective of those solemn expressions, myths and historical mysticisms about flamenco, making a mockery of so many “lies”. Everything in good fun, that is. At the end of the show they wondered out loud if “that joke about Mairena would have offended anyone”. They laugh off concepts such as “duende”, “jondo”, “pellizco” or “purity”. They joke around about the Gypsy ways of Agujetas, or question if Marena was “smoking something” when he came up with his theory of “incorporeal reason”. The public wasn’t shocked, because the context allowed it all. 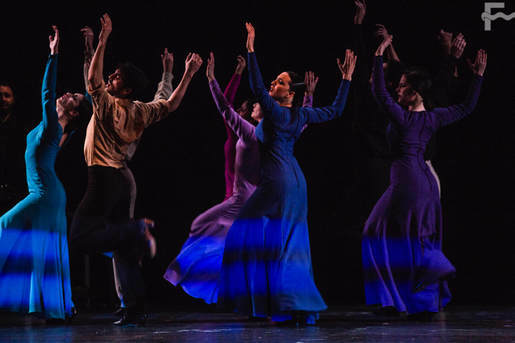 Among so much fun, Palomar sang martinetes and soleá, and El Junco danced like crazy… They even used a Ouija board to summon the spirits of Juanito Valderrama, Chano Lobato or Camarón, making a vocal imitation of those artists. All quite funny. Yet, was this really suitable for the Festival of Jerez?…. 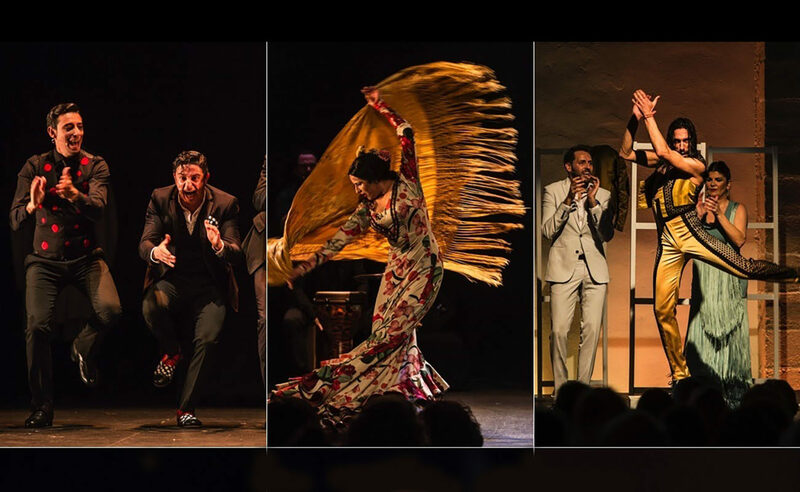 That same evening we attended the debut show of Gema Moneo, bailaora from the Plazuela district of Jerez who became the most (and best) talked about artist in this Festival. 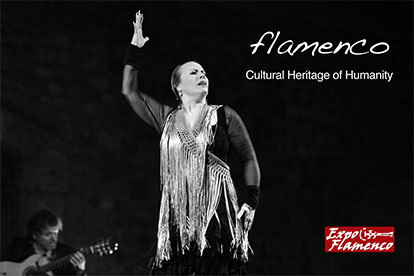 With a simple and very flamenco show, she captivated the audience who acclaimed her performances por seguiriyas, romeras, buelerías and soleá. She was supported by a first-class cast of cantaores such as Manuel Tañé, Miguel Lavi, Jesús Corbacho and Luis Moneo, the later leaving the imprint of the family’s echo, which already misses, Manuel, Juan, Moneo and El Torta. She was also supported by the guitars of Jesús Agarrado ‘El Guardia’ and the great Juan Campallo. 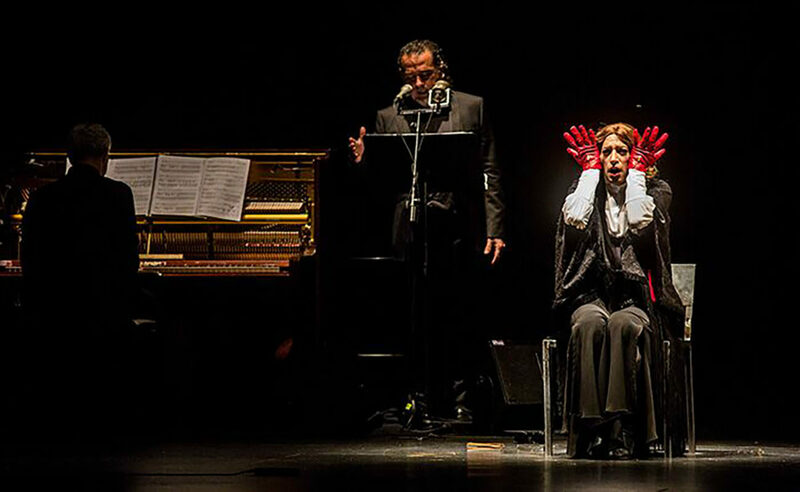 “El Sonido de mis días” (“The Sound of my Days”) as the show was titled, is among the best-liked events in this Festival. 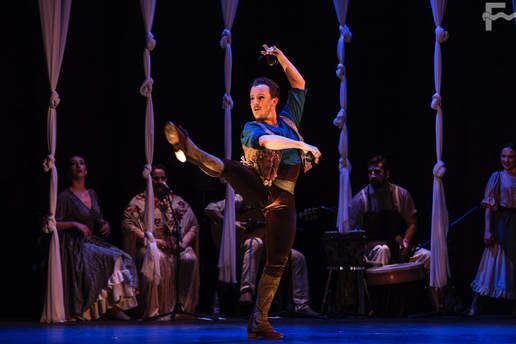 Saturday brought back Cádiz elegance with the baile of Edu Guerrero, who had a double performance. 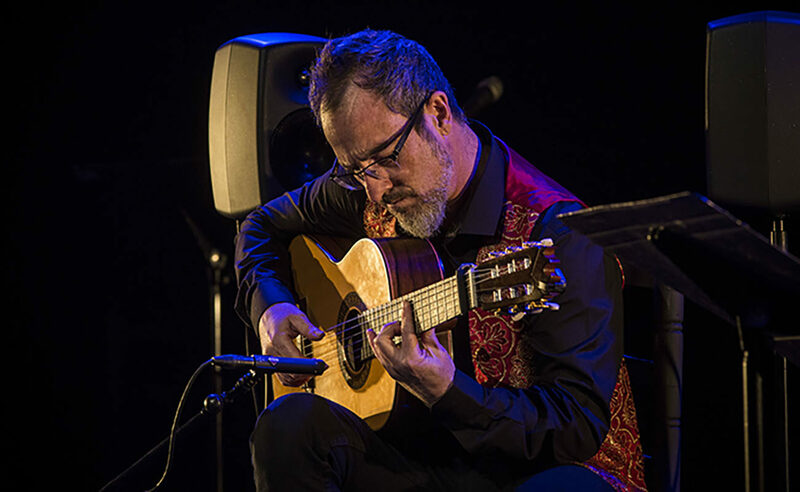 In the morning, at the Gonzalez Byass venue, he presented “Faro”, with Manu Soto and Anabel Rivera in cante, and Javier Ibáñez at the guitar. Once again, he was outstanding with his particular way to move on the stage, creating a unique language and able to communicate unhindered with a public who thoroughly enjoyed his performance. He danced por cañas, alegrías and bulerías. In that same eveing, Edu took part in the show “Las Puertas de Gades” (“Gades’ Doors”) by Ercarna Anillo, an extremely versatile cantaora who proved to be one of the essential artists of Cádiz. 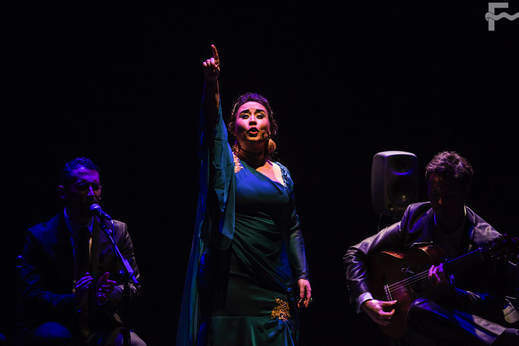 Rather than going back in time in esthetic and form, she showed herself modern and elegant, singing malagueñas y alegrías with very good taste. She made a musical journey through the Atlantic ocean until reaching the shores of the American continent and bringing up the music of Argentina and Chile, leading into the cantes de ida y vuelta. She was another acclaimed artist in this Festival. On Sunday we attended a guitar performance by Santiago Lara. 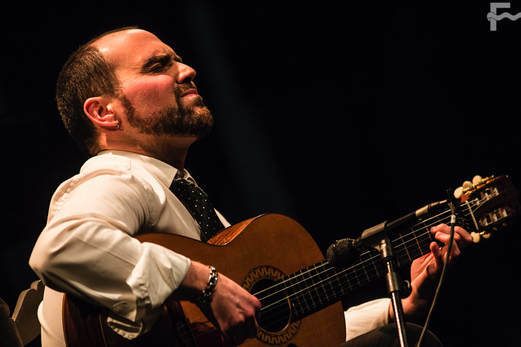 It was a charming concert, recalling masterpieces of other masters of flamenco guitar. From Niño Ricardo’s soleá to Moraíto’s bulerías, passing through Ramón Montoya’s rondeña and Sabicas’ “Punta y Tacón”, without forgetting Manolo Sanlúcar, Paco de Lucía or Vicente Amigo. An evening to remember! From Sala Paúl, we came back to the Villamarta theater to enjoy the show “La Tournée” by Pilar Ogalla and Andrés Peña. It was a show with the same essence than the others, but with a different dressing. They have such an unique and personal way to dance, so flamenco, that having a plot topic in this show is unnecessary, since they are great in what they do, not in how they do it. 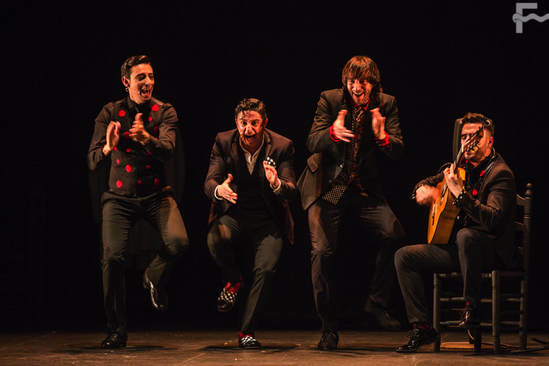 We should also mention the performance of the Ballet Andaluz de Flamenco (BAF), with Rafael Estévez and Valeriano Paños as choreographers and protagonists, in a production that blends tradition and innovation, with love, respect and good taste. There weren’t any extraordinary moments. The show maintained a high level, yet it didn’t have any unforgettable minute. It’s time to get going and polish some of the many numbers performed on the stage. 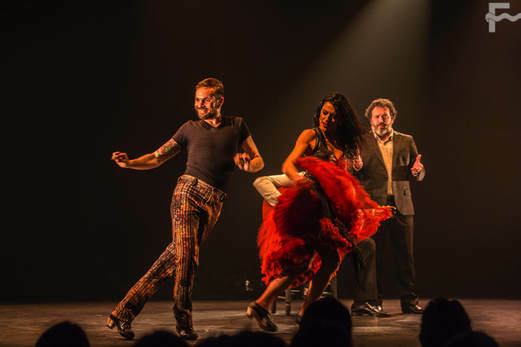 With a simpler format, as expected, Alejandro Molinero presented his show “ADM” at the Sala Compañía venue, in a journey through stylized dance, folklore, classical dance and flamenco. 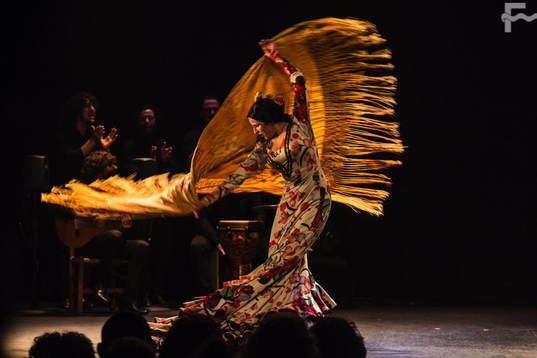 Flamenco was the least intense part of it all, but it was convincing. 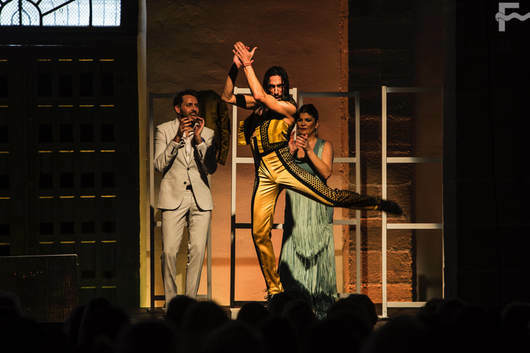 As there were no major performances at the Villamarta on Monday evening, the public attended the Sala Paúl venue to enjoy Jesús Fernández’s baile, a clean and fresh production which moved the audience with its simplicity, leaving a message easy to understand by the public: “some people make brief appearances in our lives, but change them forever…” With his own shadow he played with different periods in his life where emotion and inspiration made him change until he became the bailaor he is now.